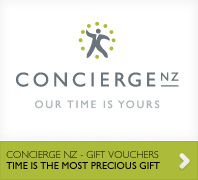 Concierge NZ is a leading provider of concierge services for people and companies. 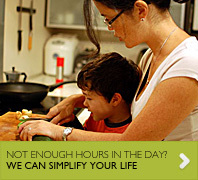 Modern life is busy and stressful, and achieving a healthy work/life balance can be difficult. At Concierge NZ we have one simple objective: to give you your life back. Hand us the tasks that take you away from your family, your interests, your relationships, your goals. Lobby concierge services for property owners and managers wanting to add value to multi-tenanted buildings. Our services will save you precious time for the things that really matter. Whether it’s helping you manage your life, finding a solution to an unusual problem, or making your visit to New Zealand an unforgettable experience, our resources, knowledge, and relationships will make everything easy. At Concierge NZ we are known for our resourcefulness, discretion, reliability, and attention to detail. The company’s principals have over 25 years experience in hospitality, tourism, project management, and events. Our network of suppliers and contacts are second to none. Every member of our team has a strong service background, with a flair for just making things happen. Concierge staff must pass a rigorous training programme but, at the end of the day, it’s really about having the right attitude. We pride ourselves on being great problem solvers, for knowing the right people, and leaving no stone unturned when it comes to delivering results for our clients. We really do understand the meaning of ‘yes’.